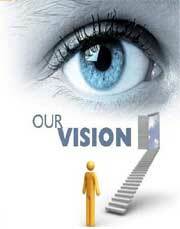 A clear vision about how and what is to be done is a must to initiate the process of change management. Absence of Vision will lead to Confusion. Dynamism is an integral part of any industry and it is imperative for an organization to be flexible towards changes in order to make effective progress in all spheres. Change Management refers to the making of changes in a planned and managed or systematic fashion. The aim is to more effectively implement new methods and systems in an ongoing organization.